PM Modi will inaugurate the newly constructed state-of-the-art Dorjee Khandu State Convention Centre in his visit to Itanagar on February15 next. 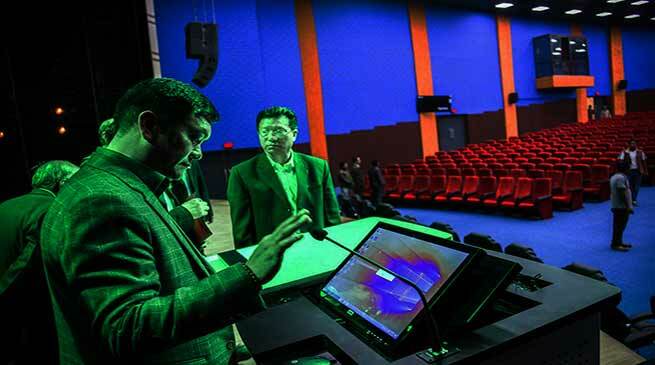 Arunachal Pradesh Chief Minister Pema Khandu yesterday inspected the Convention Centre at IG Park. The State Convention Centre has main auditorium hall of 1000 seating capacity, three mini conference halls, restaurant, administrative block and media room including open amphitheater with parking facility for more than 200 vehicles. The entrance to the centre has statues of Abo Tani, Jeet Ane with his son and dog (Kipu) to give local touch. Construction of the convention centre in the state capital was proposed keeping in mind the difficulties faced by the people of the state for convention of meetings, VIP functions, etc. The centre has one of the best Auditoria in the state, which is equipped with state-of-the-art infrastructure enabling direct telecast, Huge Screen (wall-mounted), Visualizer to display printed material on screen, Controlled Lighting and Sound, etc. with Wi-Fi facility. The hall is ideal for large conferences, seminars, film screenings, presentations, theatre and cultural performances of all kinds.